Have you ever gone to the beach and wondered about the names or unique characteristics of the sea creatures you saw there? Uu-a-thluk has partnered with Ocean Networks Canada to develop a marine-focused education tool for our Nuu-chah-nulth community members and schools. The objective is to promote cross-cultural learning by encompassing both ocean science and Nuu-chah-nulth perspectives to understand the importance of marine species within Nuu-chah-nulth Ha-ha-houlthee. This project takes its inspiration from the Pacific Northwest Plant Knowledge Cards produced by the Vancouver Island and Coastal Communities Indigenous Food Network. 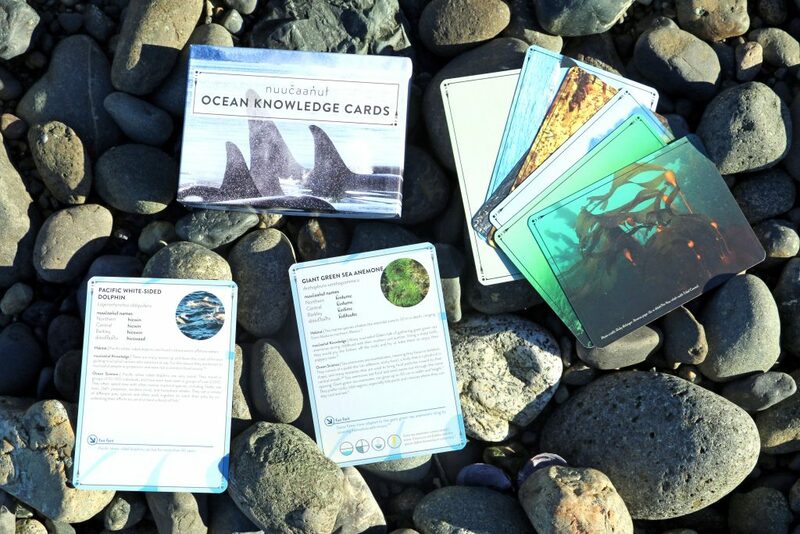 The Nuu-chah-nulth Ocean Knowledge Cards highlight 36 species of sea life found along Vancouver Island’s west coast. The cards show the ways that Nuu-chah-nulth people harvest and prepare these sea foods, which have been culturally significant for millennia and remain so to this day. Any proceeds resulting from sales of the cards will be reinvested in capacity building programs in Nuu-chah-nulth communities. On your next visit to the seashore, take these cards to help you identify the species, explore their habitat, learn more about how Nuu-chah-nulth people use them, and discover scientific knowledge. We trust you’ll enjoy learning about the diverse ocean species that live in Nuu-chah-nulth Ha-ha-houlthee (chiefly territories)! 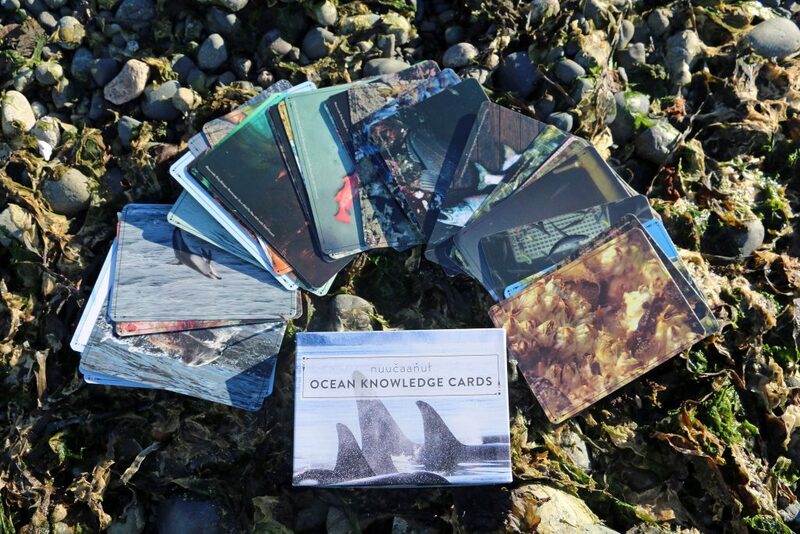 For more information about the Nuu-chah-nulth Ocean Knowledge Cards or to purchase a deck, contact: Aline Carrier, Uu-a-thluk Capacity Building Coordinator at 250-724-5757 or via email at aline.carrier@nuuchahnulth.org. Decks are $30 (pricing differs for NTC departments and Nations).